Comfort is the name of the game in the Bastrop Collection. The collection is versatile for placement in your living room to enjoy maximum relaxation in your downtime. The two optional coverings – black or brown leather gel match – feature contrast welting for definition of profile and modern accenting. Manually engaged motion mechanisms allow for quick transition from seated to prone with the quick pull of a tab. Each piece in the collection has an individual function allowing for convenience and comfort. 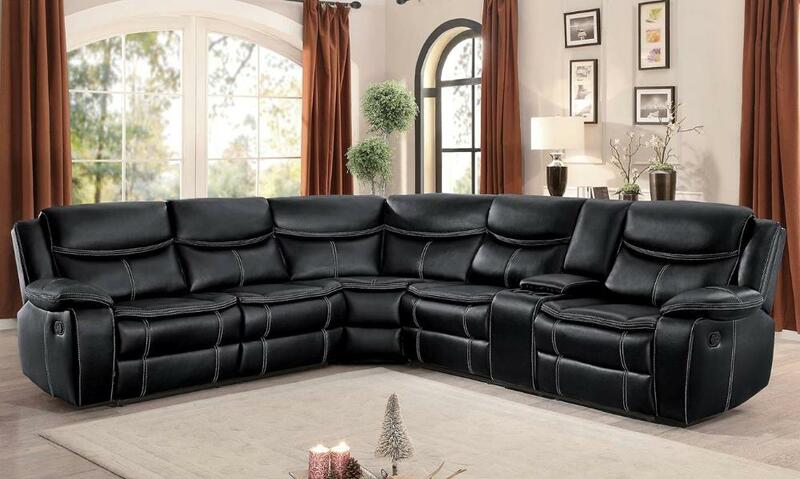 The sectional features a left side love seat with reclining end and the right side double reclining love seat with center console unit, featuring cup holders and storage. 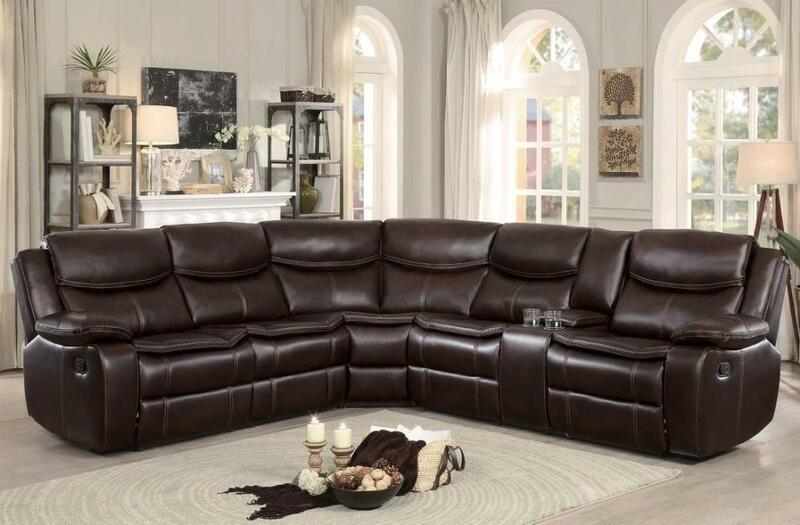 FEATURES: Black / Brown Color ~ Contemporary / Transitional Style ~ Leather Gel Match Cover ~ Contrast Welting Accents ~ Cup Holders / Storage Center Console ~ Manual Reclining Mechanism.